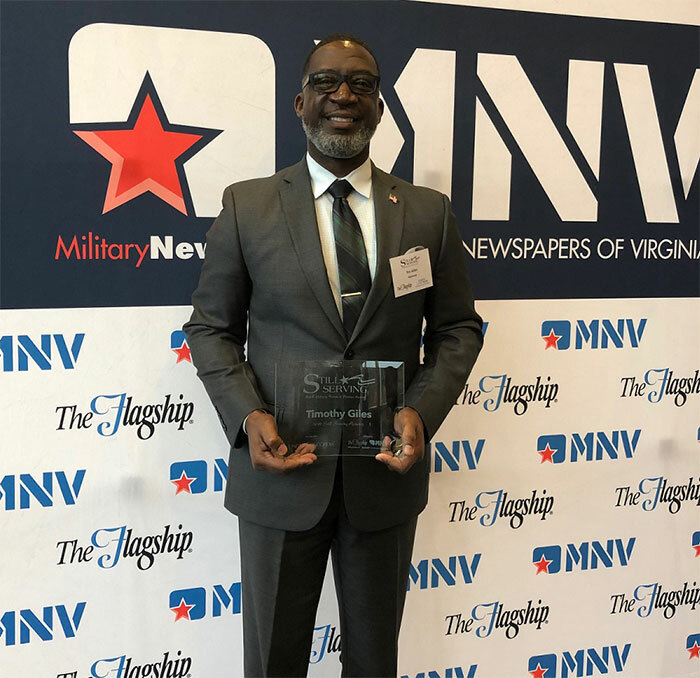 All of us at Eggleston are so proud of Tim Giles, Program Manager of Warrior Bridge, for being honored today at the “Still Serving” awards hosted by Military Newspapers of Virginia MNV and Flagship. 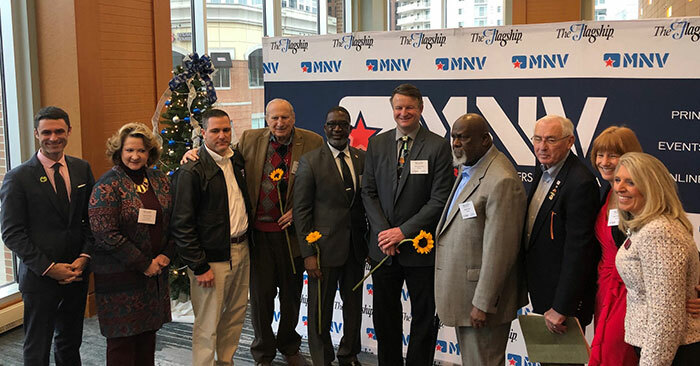 Tim was in great company with veterans from all across Hampton Roads who choose to “Still Serve” their community with all that they do. From fostering dogs, saving lives and teaching health and wellness to helping at-risk children and our homeless, these folks live life in the service of others. And Tim Giles is no different! Tim helps all of us at Eggleston aspire to do more and be the best we can in our daily roles here in the office and out in our community. Tim is a Warrior for our Veterans every day; he helps those who cannot always help themselves with a leg up and a hand on their back just when they need it most. Please help us to congratulate Tim on a well-deserved honor and thank him for his continued service to our community and our Veterans.